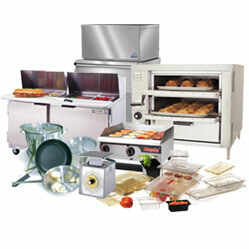 Carlisle Foodservice Products, CDN Foodservice, flexsillid, and our own Magnum by Rabco group of products. Our main Distribution Centre in Scarborough, Ontario in fully stocked. We constantly monitor our Inventory levels to ensure a 99% fill rate on the items you need most. We have agents across Canada that can be contacted for information or assistance, and our products are available from any local foodservice equipment dealer.